When Addison was in kindergarten, and Maddie a baby, he was in a Christmas program at school. The younger grades sang songs, but the middle school students performed a play about the Christmas Story. At the end, two, 8th grade students dressed as Mary and Joseph entered the church with Mary carrying a live baby Jesus. As they walked down the aisle Mary stumbled. Everyone lunged forward to help catch the falling baby. Fortunately, Mary recovered quickly and she didn't drop baby Jesus (who happened to be her real baby sister). But everyone was so willing to lend a hand. Wouldn't it be wonderful, not only during this season of giving, but always, if we were willing to help others in need? Reach out, do good, show a little kindness to those we know and those we don't, however small or insignificant it might seem. Imagine what we could achieve. May you have peace in your heart, hope in your life, and love that surrounds you always. “Cinnamon, cinnamon, don’t forget the cinnamon” is a line from a song I sang in 8th grade choir about Fruitcake. If orange is the smell of Christmas and chocolate is the taste, cinnamon is the spice. Every Christmas my mother would make a cinnamon coffee cake for us to eat on Christmas morning while we opened presents. She would make one plain for my sister and I and one with chopped pecans for my father. The warm smell of cinnamon would fill our home. My sister and I would get up before dawn on Christmas morning and wake our parents. We turned on the Christmas tree lights while we waited for them. We always had the most beautiful Christmas tree. We took great care to find a perfectly shaped tree from the Christmas tree lot. My mother would drag our Electrolux vacuum cleaner into the garage and reconfigure the hose so it would blow. She would attach a bag of flocking and let loose on the tree. It took several bags to achieve a tree that looked like it had just been in a fluffy, white, snow storm. My sister and I weren’t allowed in the garage while she was at work, probably because the stuff was toxic. Several minutes later my mother would emerge, triumphant with a perfectly flocked tree and bits of white fluff lodged in her bouffant hairdo. Carefully, my parents would move the tree to our living room where it was adorn with blue lights and red and blue ornaments. It was magnificent. The coffee cake recipe is from my Kindergarten teacher, who is a friend of my parents. She was my all-time favorite teacher. I remember learning about taste in her class - sweet, salty, bitter, and sour - this was before umami was added to the list. We tasted a cookie, a potato chip, a lemon, and a dill pickle. The lemon and dill pickle made my face cringe. She always had clever ways of teaching us things. 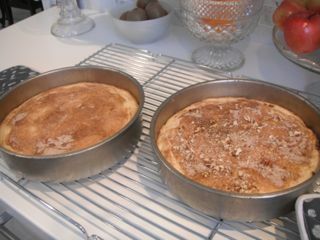 The recipe makes two 9-inch coffee cakes. They aren’t real thick, but they are moist and have a fine, tender crumb. 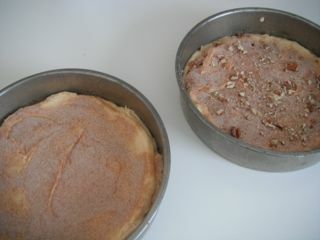 The cinnamon, sugar and nuts can be mixed together if you are using it on both cakes. 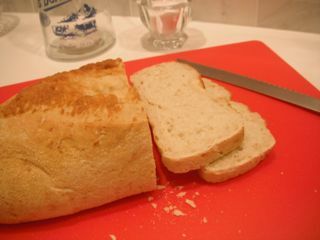 If you prefer to make one plain and the other with nuts keep the nuts separate. The coffee cake can be make ahead and rewarmed when ready to serve. Preheat oven to 350 degrees F (175 degrees C). 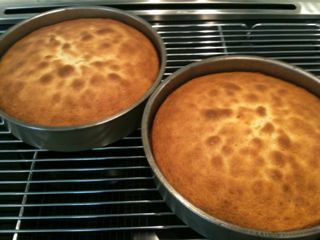 Butter and flour, two, 9-inch cake pans, set aside. Cream butter and sugar. 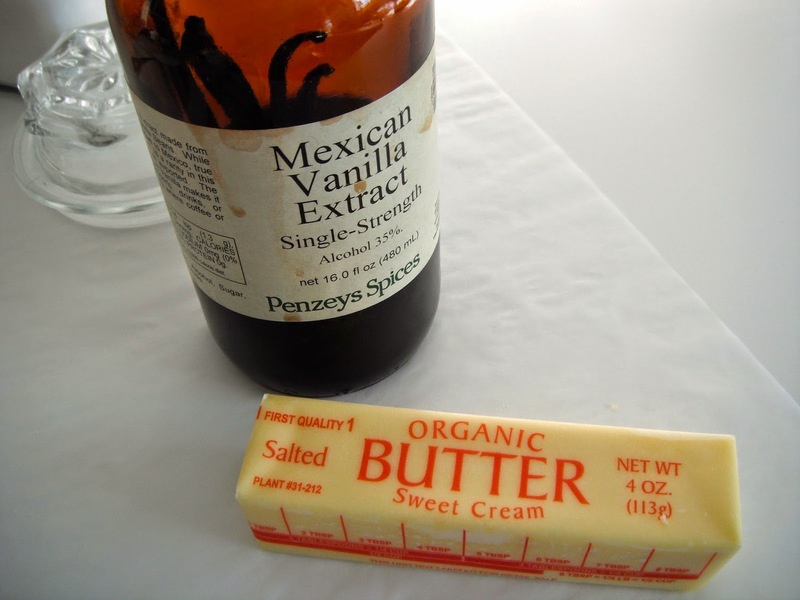 Add eggs, sour cream, and vanilla. Mix well. Sift together flour, baking powder, and salt and add to mixture. Put a 1/4 of the batter in each pan. 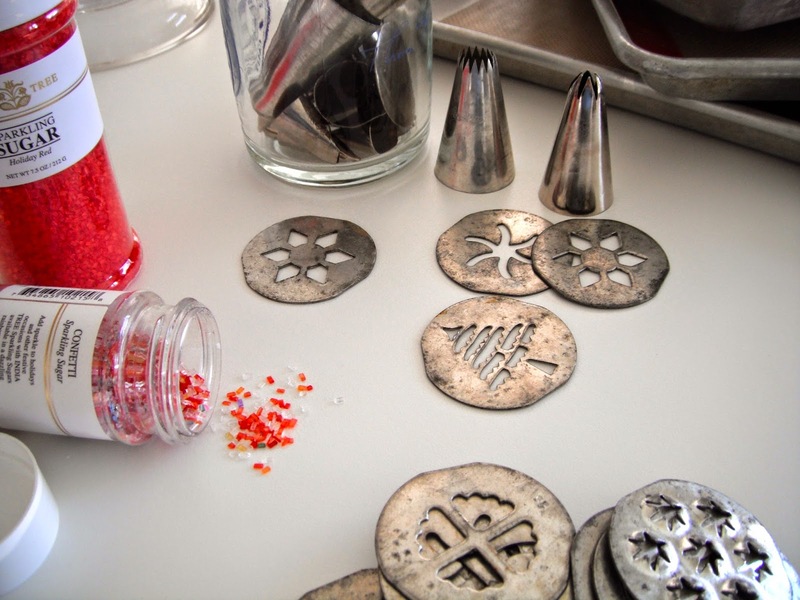 Sprinkle with half the cinnamon sugar and nuts if using. 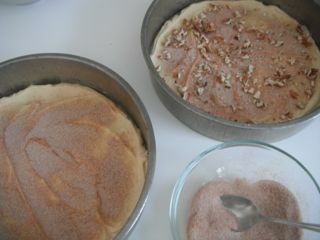 Top with the rest of the batter and sprinkle with the rest of the cinnamon sugar and nuts. Bake for 25-30 minutes. Today would have been my husband’s 54th birthday. He died six weeks before 9/11 from a rare kind of cancer. The children were very young and it left a gaping hole in our lives. 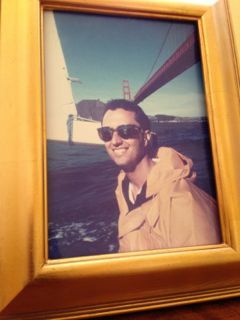 Chris was a civil engineer by trade who loved to sail and ski. But his real accomplishment in life was being a loving, kind, husband and father. He would be so proud of Addison and Maddie and the people they have become. The kitchen they created would make him smile. A friend once told me we can not always choose what happens to us, but we can choose how we will respond. It is not easy to lose someone so dear. There are so many people suffering from loss in our world today. May all who mourn and grieve find the will to carry on. And may we always feel the presence of our loved ones in our lives and keep their memories alive in our hearts. Peace be with us all. If Christmas smells like an orange, it tastes like chocolate. From the chocolate candies my mother would tuck in the tiny pockets of our homemade advent calendar to the chocolates scattered through our stockings on Christmas morning, chocolate was present the entire month. On Christmas Eve, we would indulge in hot fudge sundaes. My mother would make ice cream balls and roll some in chopped pecans. 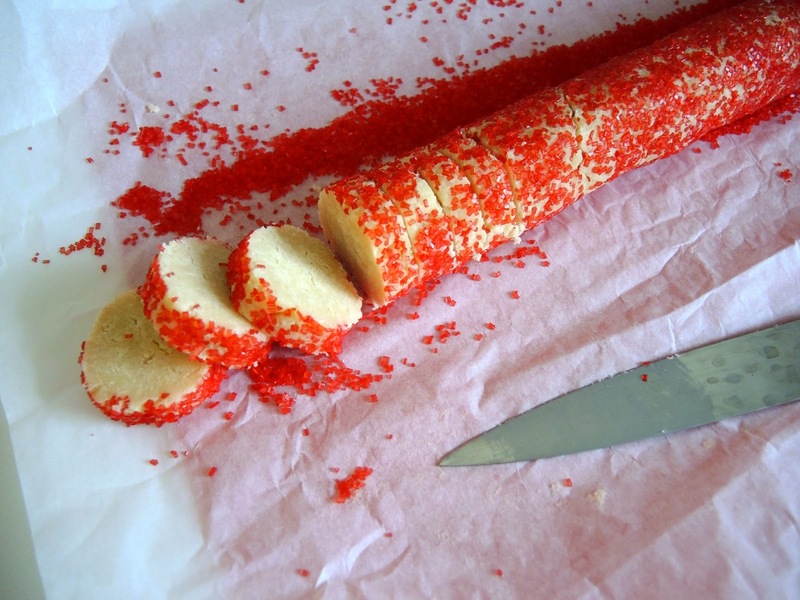 My sister and I didn't like nuts (given how much I love nuts now, I can't believe I didn't like them as a child), so she would roll ours in coconut. My mother is always good to make sure everyone is happy. 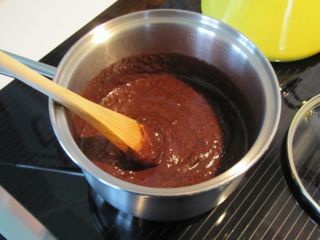 This fudge sauce recipe came from my required, 8th grade, Home Economics class. I don't know that they have such classes in school today. We had to make a piece of clothing with a sewing machine. I have no idea what possessed me to make a pair of shorts. They never did fit quite right. 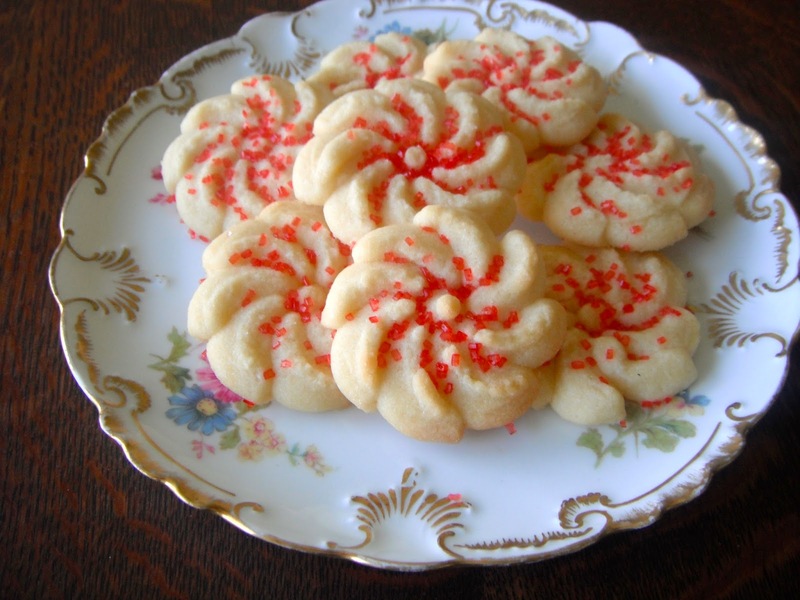 Let's just say the best thing that came out of that class was this recipe. I have tweaked it over the years. 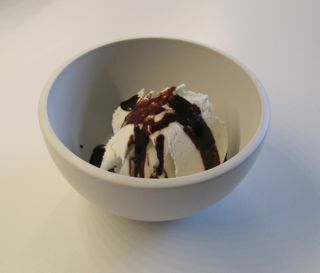 The sauce cascades over the ice cream into thick, slightly chewy, pools. I will admit, I often have a spoonful straight from the refrigerated jar in the afternoon, when I need a chocolate fix. It tastes like the inside of a chocolate truffle when cold. I love dark chocolate - okay, I love all chocolate, but dark is my favorite. If you prefer your fudge sauce a little less dark, reduce the chocolate to 3 ounces or use semi-sweet chocolate instead of unsweetened. 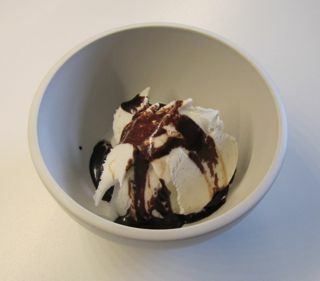 This fudge sauce is great on all kinds of ice cream, but if you are a purist, it can't be beat on really good vanilla. If you make pecan or coconut ice cream balls, toast the nuts or coconut first. It will really enhance their flavor. If you don't want to be bothered to make ice cream balls, just sprinkle the nuts or coconut (or both) on top. Whether you choose plain ice cream and hot fudge, or dress it up with nuts and coconut, everything can be made ahead, so this is a great no-stress holiday treat. 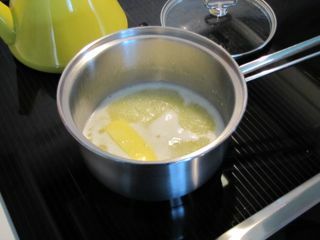 Melt butter and water in a small saucepan over medium heat, once melted bring to a boil. 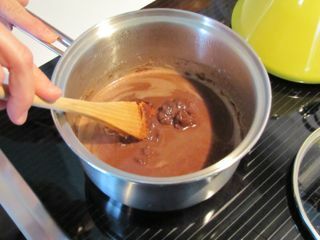 Reduce heat and add chocolate, stir while chocolate melts. 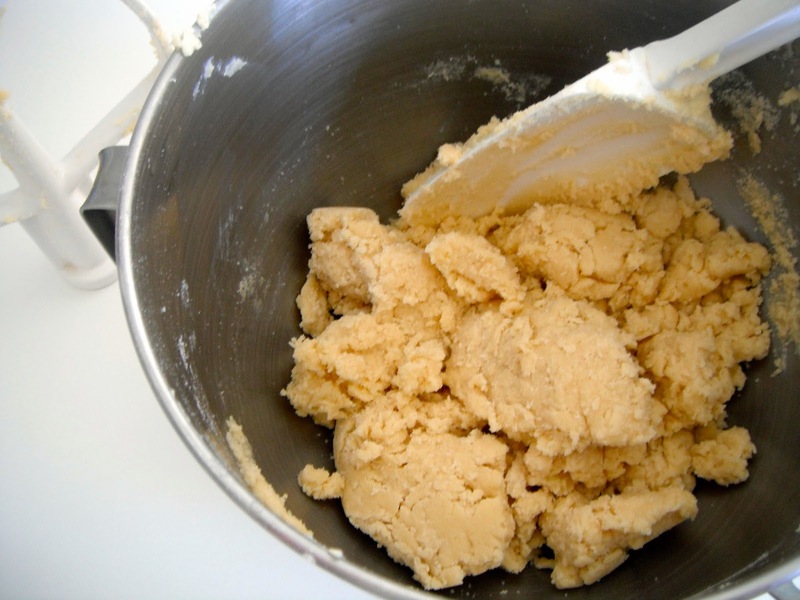 (Don't worry if the mixture is lumpy.) 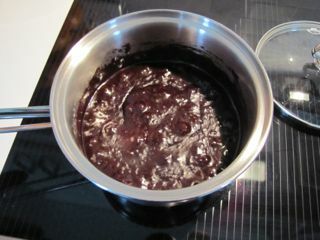 Add sugar and corn syrup and let simmer gently for 5 minutes stirring occasionally to keep from scorching the bottom. Serve hot over ice cream. Store in the refrigerate in a glass jar. Melt butter and water and bring to a simmer. Add chopped chocolate. 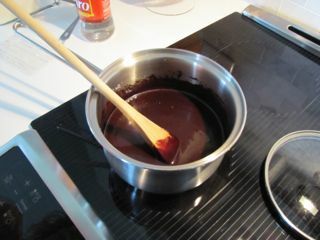 Stir until chocolate melts. Don't worry if it is lumpy at this point. Add sugar and corn syrup. Stir until smooth. Once smooth, boil gently for 5 minutes. Stir occasionally to prevent scorching. If I had to pick just one smell that reminds me of Christmas it would be the smell of an orange. When I was little, Santa would magically appear after the children's program at our church and give us candy canes and oranges. 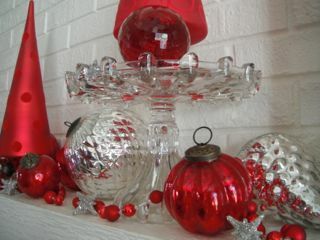 For me, the candy cane always took a backseat to the sweet, fragrant orange. I would run my finger nail across the peel to release the citrus aroma and breathe in deeply. 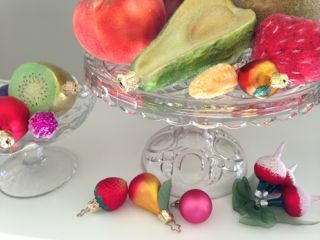 There was always an orange in the toe of my over-flowing Christmas stocking and the smell of citrus filled the air each winter morning as my mother peeled and sectioned oranges for our breakfast. 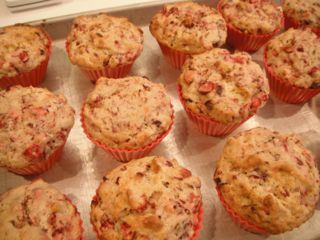 Cranberries are definitely the dominate taste in this muffin recipe, but it was while I was grating the peel and juicing the oranges that the sweet childhood memories came flooding back. Preheat oven to 375 degrees F (190 degrees C). 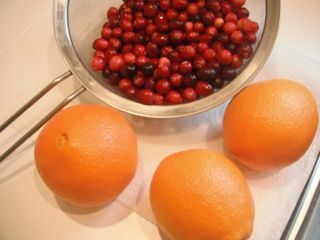 Wash and pick over cranberries. 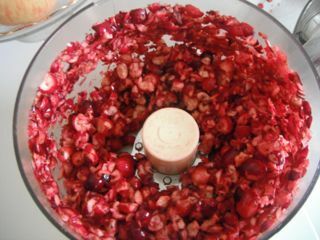 Chop cranberries in food processor or blender until coarsely chopped. 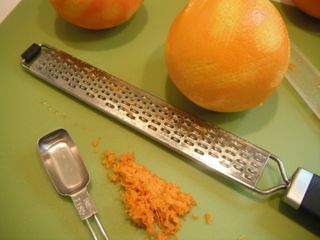 Add 1/4 cup (50 g) of sugar and orange peel, set aside. 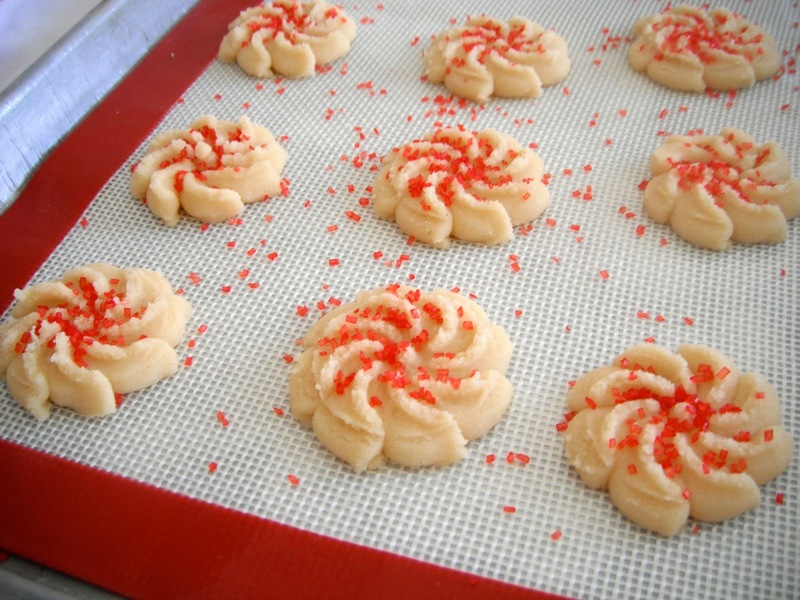 In a large bowl, combine flour, 1/2 cup (100 g) sugar, baking powder, and salt. In a separate bowl, whisk together the oil, orange juice, and eggs. Add to dry ingredients all at once and mix just until moistened. 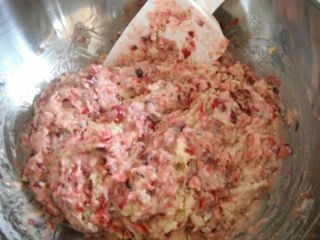 Gently fold in cranberries and nuts. Fill prepared muffin tin. Bake 20-25 minutes. Add the sugar and orange peel and let sit a few minutes for the flavors to mingle. Does Christmas have a smell for you? I'm getting to know my appliances. Unfortunately, I'm not very good about reading the manuals. Luckily, they are pretty simple, which makes it easy. 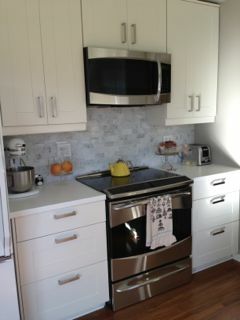 Sometimes simple is best, especially with appliances and food. I have a General Electric Induction Range. The stove top cooks by induction heat. I wanted a gas cook top, but running a gas line was going to be very difficult and costly, so this was the best alternative. Like gas, it does heat up very fast and I have been pleased with the results. 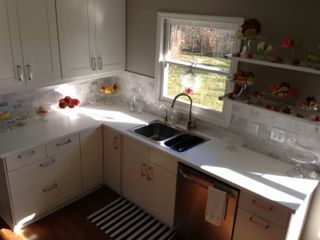 It has a glass, touch-control panel across the front and the cooking surface is also glass, which is easy to clean. You do have to have the correct cookware. If a magnet will stick to the bottom of the pan the cookware will work. For a better explanation read this. Many years ago my late husband and I were in the South of France on vacation. One evening we dined at a lovely restaurant that over-looked the Mediterranean Sea. It was very beautiful and the multi-coarse meal was delicious, but I only remember two other things about it. Although each course was very small, I was too full to eat more than a bite of dessert, which was a real shame, and the cherry tomatoes. The first coarse was a few sautéed cherry tomatoes that were sublime. They were perfectly ripe and barely warm, with a slight balsamic vinegar glaze. 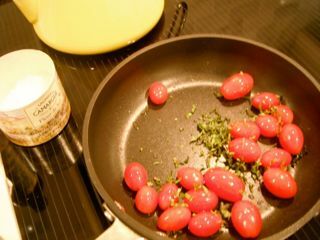 I would never have thought to sauté a cherry tomato, but what a perfect, simple idea. We had a lot of delicious food on that trip, but it is the cherry tomatoes that I remember best. 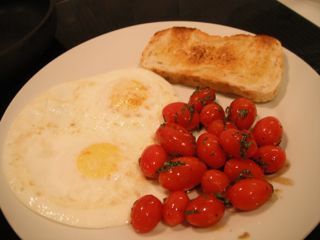 When I am in need of simple, pure food I sauté some cherry tomatoes, fry some eggs and make toast. It is the perfect comfort food for this busy time of year. The tomatoes are also delicious on their own or scattered around a piece of fresh mozzarella cheese. Toast some good bread. Wash tomatoes and chop some basil. 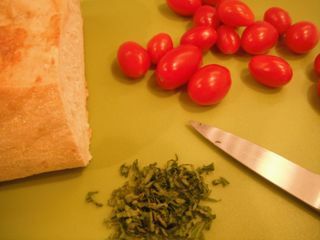 Or use whatever herbs you have on hand or leave them out all together - chives are good, too. 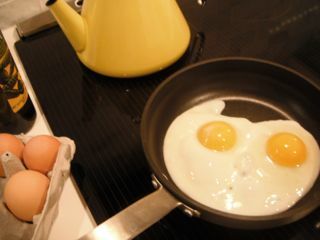 Fry some eggs while the toast is in the toaster. Slide the eggs on a warm plate when they are cooked. Put a little olive oil in the pan the eggs were fried in and add the cherry tomatoes. Sauté for 30 seconds, add chopped basil, coarse salt, and fresh ground pepper, sauté another 30 seconds. Remove from the heat and sprinkle with good balsamic vinegar. Swirl the pan to coat the tomatoes and put on the plate with the eggs. You can make the whole meal in less time than it takes to listen to 'Hang On Little Tomato" by Pink Martini. I love this song. It is so happy. And the best part is there is only one pan to clean up. Simple is best. It was time to celebrate. It was time for cake. Baking in my old oven was always an adventure and not necessarily a good one. 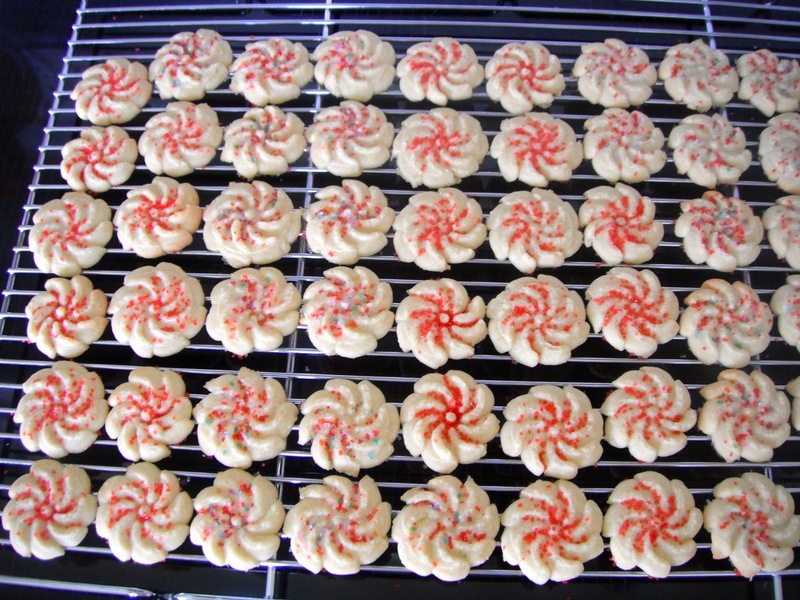 It worked fine on small things like cookies or muffins, as long as they were baked a single pan at a time, but larger items like pies or cakes were more of a challenge. I was never quite sure if they were baked all the way through. So, I was eager to see what my new oven could do. Addison and Maddie wanted an almond cake. It was a good choice to start with because it brings back fond memories. 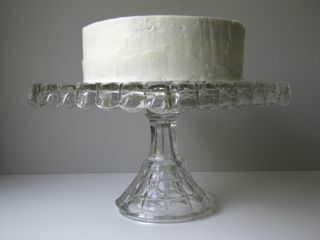 It was the cake my niece chose for her wedding and it was the base of the petits fours we made at the bakery. Almond paste adds a delicate flavor and moist texture that makes the cake extra special. 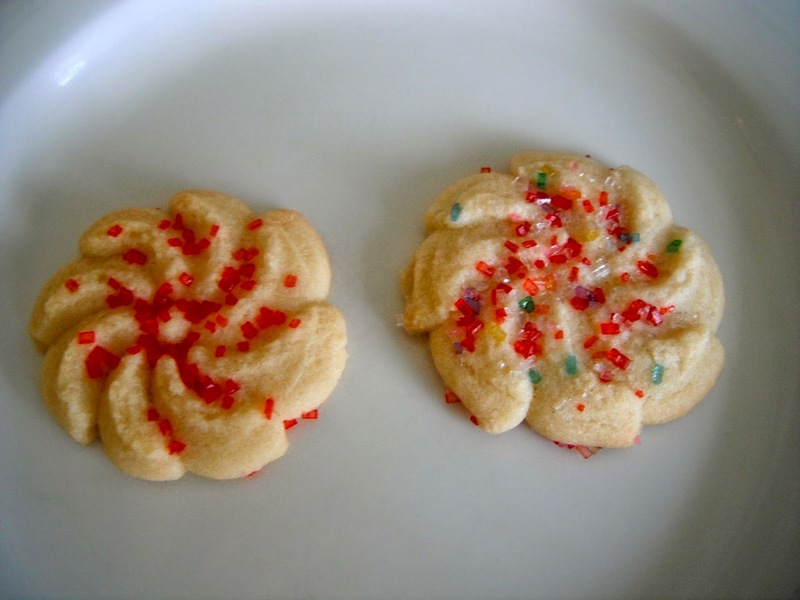 Be sure to use almond paste and not marzipan. 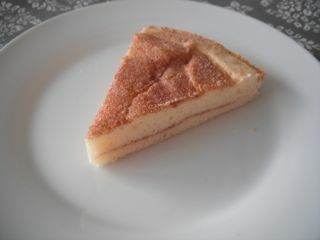 I combined the recipe we used at the bakery and a recipe from Martha Stewart's Baking Handbook. Preheat oven to 350 degrees F (175 degrees C). 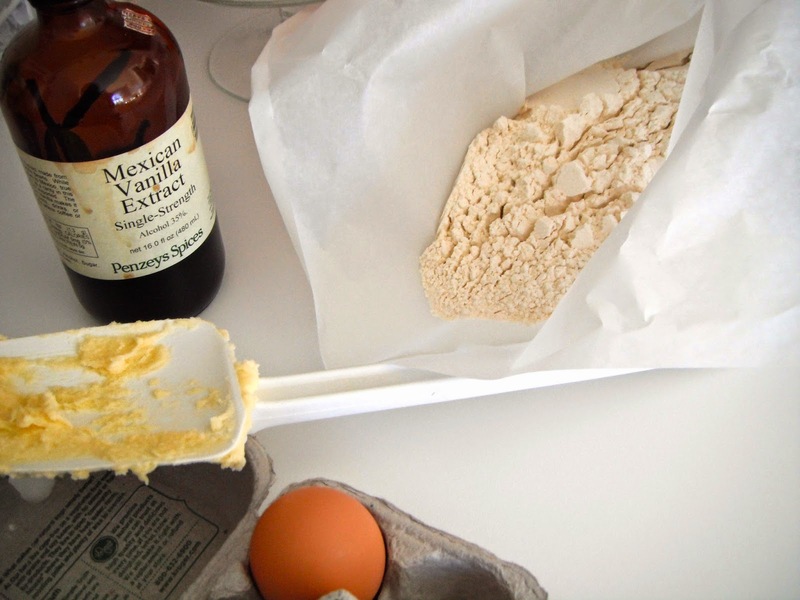 Butter two, 9-inch cake pans and dust with flour. 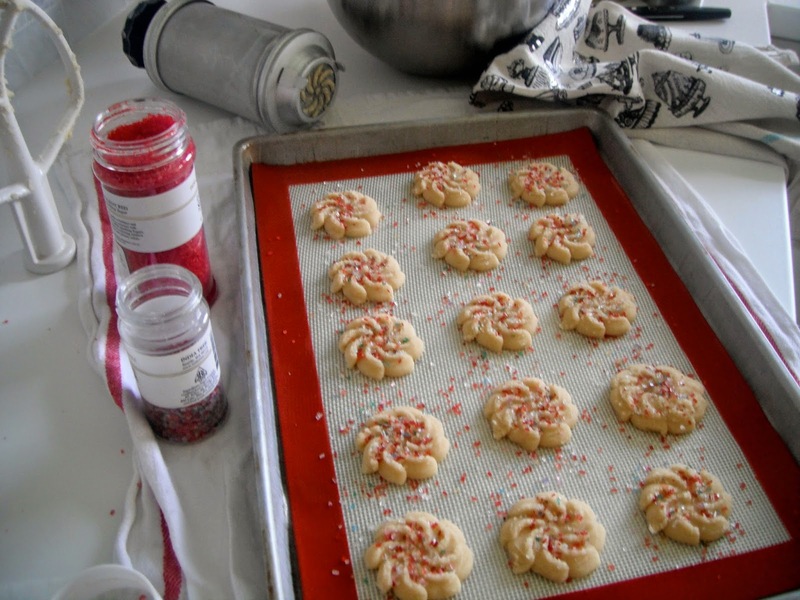 Line pans with parchment paper or waxed paper and butter and flour the paper. Sift together flour, baking powder, and salt. 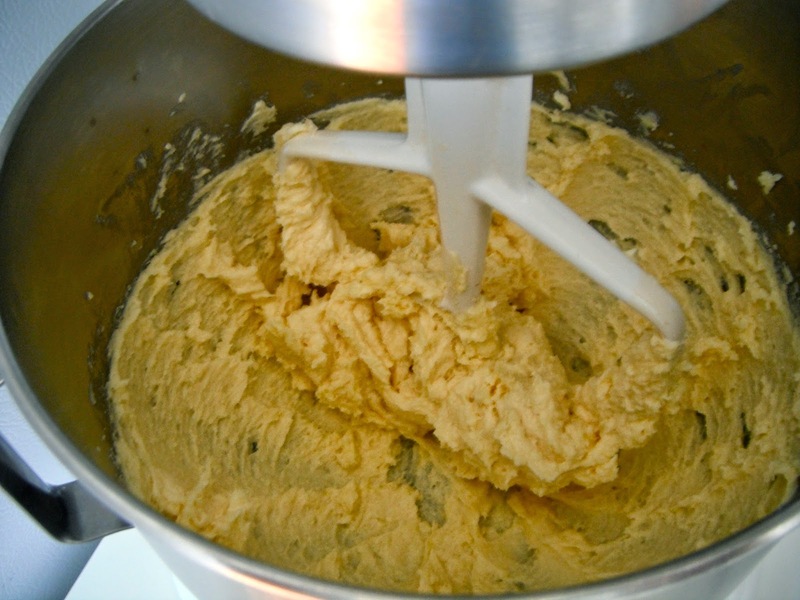 Mix 1 1/4 cups (250 g) sugar with almond paste on low in a mixer with a paddle attachment until the almond paste is in small pieces. 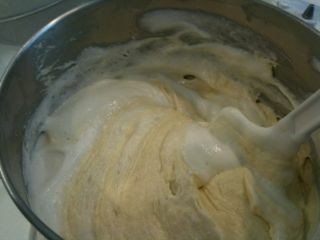 Add the butter and beat until light and fluffy followed by the egg yolks, vanilla, and almond extract. Beat until mixed thoroughly. 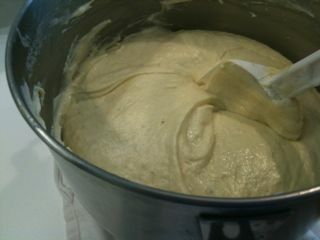 Alternate adding flour and milk in three parts until well combined. 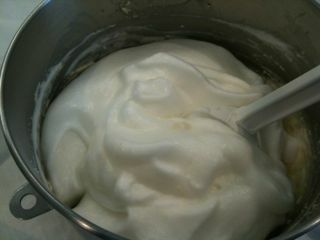 In a clean mixing bowl beat egg whites with a whisk attachment until foamy. 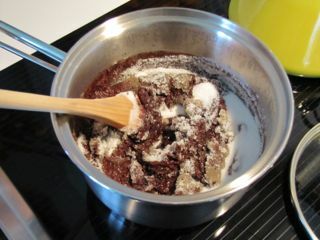 Slowly add remaining 1/2 cup (100 g) sugar beat until soft peaks form. 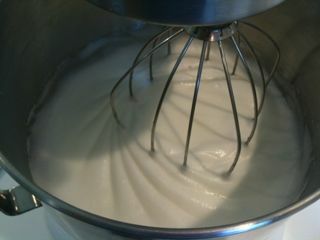 Stir in a quarter of the whipped whites to lighten the batter then gently fold in the remaining egg whites. Put in prepared pans and bake for 25-30 minutes until a cake tester in the center comes out clean. Cool on a rack until completely cool. 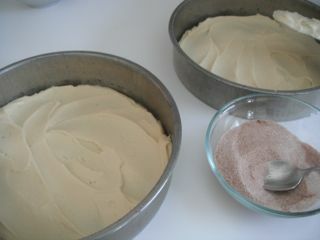 To assemble - remove the cake from the pans, fill and frost with almond buttercream. Refrigerate for at least an hour to allow the flavors to develop. The cake can be made a day ahead. The cake tastes best at room temperature, but store in the refrigerator. Whisk egg whites and sugar in a mixing bowl over a pan of simmering water (don't let the bowl touch the water) until the sugar has dissolved and the mixture is very warm. 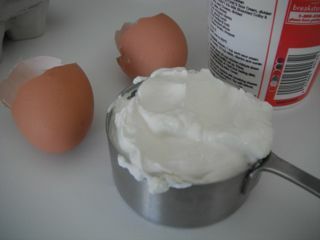 Move the bowl to an electric mixer with a whisk attachment and beat on medium speed until mixture has cooled and the egg whites have formed stiff, glossy peaks. 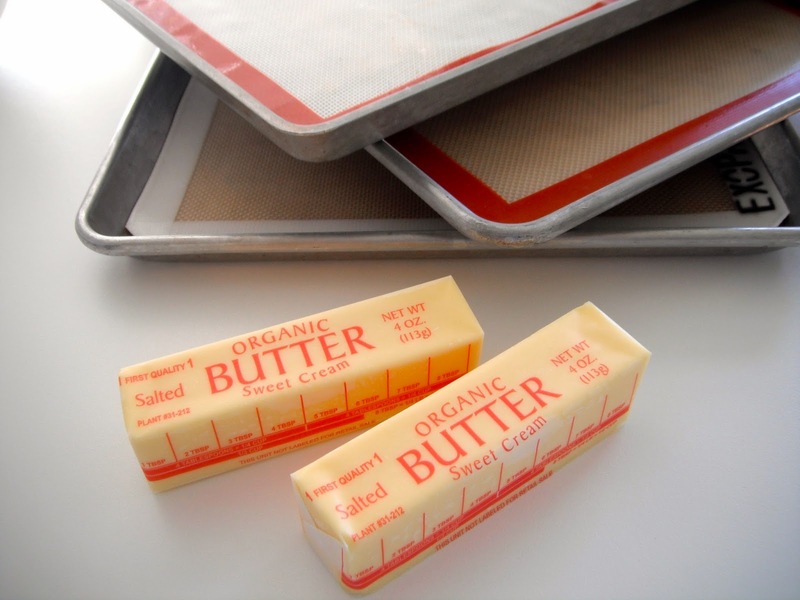 (If the mixture isn't cool it will melt the butter and cause it to separate. Just keep beating until the egg whites are cool about 5 minutes, but longer if needed.) 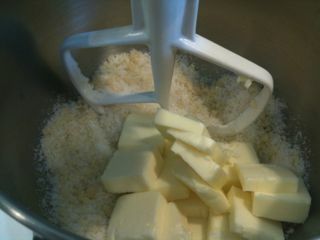 Switch to a paddle attachment and add the butter a few pieces at a time until well incorporated. 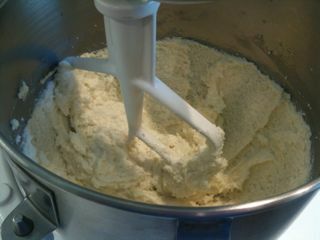 Add the almond extract and continue beating a few more minutes until the buttercream is smooth and shiny. 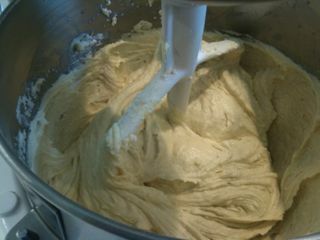 If the buttercream starts to separate continue beating until it comes back together. 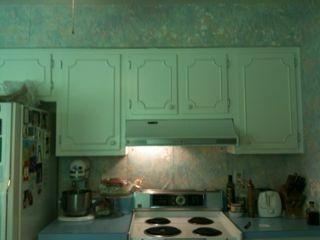 When I look back at the pictures of our old kitchen I'm pretty amazed at how different it looks. Our summer project did indeed take all summer. There was a little blood, a lot of sweat, and a few buckets of tears. Addison cut himself once or twice, we all sweat, and I shed the tears, but Maddie would remind me there is no crying in construction. So, I had to buck up when things got challenging. But it was worth it. 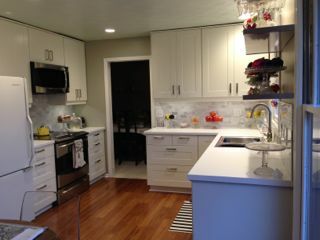 I love my kitchen. It is my laboratory. Now I want to be in it all the time. I was thrilled once all the construction dust was washed away and everything found a home. It is such a joy to have things in their place and not have to go look for something in the dining room or walk to the laundry room to use the sink. For a few days we all kept leaving the kitchen when we needed something only to get to our destination and realize we no longer needed to leave the kitchen to find it. It is easy to take things for granted until you don't have them anymore. We had gone without a working kitchen for longer than we had hoped. At times it was really frustrating. We got tired and stressed when we couldn't figure something out. Now with everything working and in its place we felt pleased and grateful. 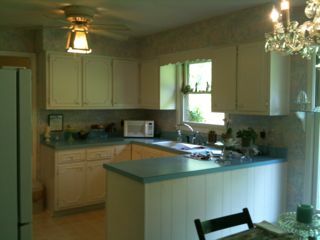 The kitchen just makes us smile. When I worked at the bakery we had a saying, "We aim for perfection and take what we can get." Nothing is perfect, but we gave it our best.